BENTLEY Motorsport has confirmed the six drivers that hope will lead them to victory in the Liqui-Moly Bathurst 12 Hour this February. Guy Smith, Steven Kane, Maxime Soulet and Andy Soucek will all return to Bathurst in 2017 while young-gun Vince Abril and former factory Audi LMP1 pilot Oliver Jarvis join the squad for the first time. Smith and Kane will be joined by Jarvis in the No. 7 car while Abril will link with Soucek and Soulet in car 8. Bentley finished fourth on their Bathurst debut in 2015, missing out on the podium in the final corner when hustled out of position by a charging Aston Martin. Their return last year rewarded them with a Bathurst podium for the first time. 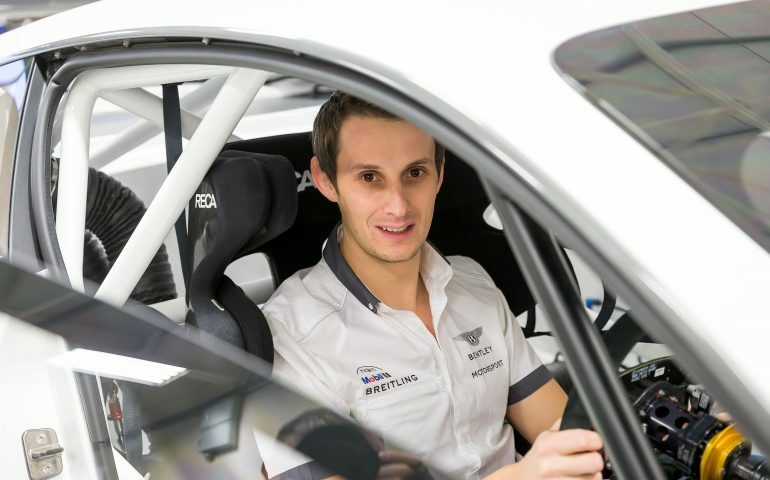 33-year-old British ace Oliver Jarvis is the latest addition to the Bentley squad, bringing with him a wealth of experience gained from spending the last five seasons as a factory LMP1 driver for Audi and before that four seasons in the DTM with the same brand. Jarvis, a former winner of the Macau Grand Prix, finished second in the 2016 World Endurance Championship for Audi and has three times finished third in the LeMans 24 Hour. He has also won both the Daytona 24 Hour and the Sebring 12 Hour races in the US. “After nine years with Audi, it’s time for a new start and a new challenge,” commented Jarvis. “I had a few offers on the table but this was the right choice and I couldn’t be happier to be joining Bentley as a Works driver. Having followed closely what they have achieved on-track in GT racing since returning to motorsport, I can’t wait to put the overalls on for the first time and become one of the “Bentley Boys”. Bentley’s Director of Motorsport Brian Gush said Jarvis would add to the already strong Bentley team. He joins a six-strong Bentley squad that includes Bathurst 12 Hour familiar faces, Guy Smith and Steven Kane. The pair of British drivers have contested the last two Bathurst 12 Hour races, teaming with Matt Bell to finish fourth in 2015 and third in 2016 – and will be looking to go two spots better in 2017. Smith is the 2003 LeMans 24 Hour winner while Kane is a long-term ‘Bentley Boy’ having joined the squad in their first season of competition with the Continental GT3. 20-year-old Frenchman Vincent Abril will make his Bathurst debut this year, though has spent the past two seasons racing for Bentley in the Blancpain GT Series in Europe, including sharing a Continental GT3 with Kane and Smith in the Blancpain series last year. Belgian driver Soulet made his Bathurst debut last year, finishing seventh alongside Spanish ace Soucek who also returns this year. The pair raced together in the Blancpain Endurance and Sprint Cups inn 2016, winning races in each series. The third Bentley Continental GT3 in the field, entered by new Australian outfit Heretic Autosport, is set to confirm their squad next week.